As completely as Kangana owns Rani Laxmibai, Nawazuddin Siddiqui owns Balasaheb Thackeray, more so in a tightfitting movie that goes its no-nonsense way much like the character that it showcases. Does Nawaz tide over the pitfalls of being the controversial Shiv Sena supremo? Mostly yes, giving you an insight into Thackeray’s cutting humour, strident nationalism and his ability to rouse a crowd virtually from the dead. Nawaz plays the role with a straight face, never straying into any kind of nuances that may heckle the dispensation so the biopic is mostly laudatory and sometimes even showing up an awe-inspiring side of this politically active man who held the spirit of Maharasthra together and on a crescendo throughout his career. Be it his take on Pakistan cricketers, or his artistic acumen, he remains on screen the centre of attraction with Nawaz proving why he was the right choice for playing this complex character. You could call it a visual version of the Sena mouthpiece Saamna though you marvel at the openness of the producers for having the courage to cast a rank outside, that too a Muslim, Nawazuddin to play the role of Marathi manoos spewing Thackery, as also the silence of the Shiv Sena over such a choice. 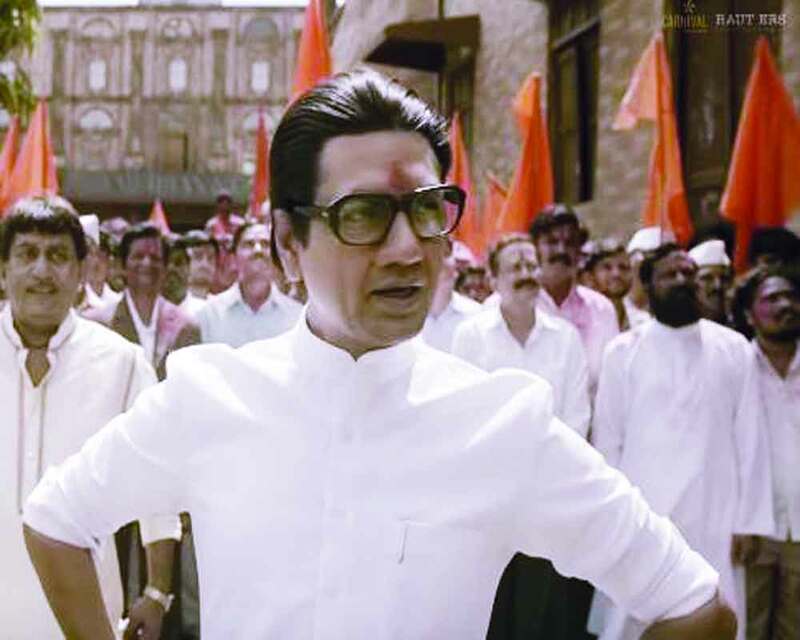 All sequences in the movie are there with the aim of highlighting Thackeray’s stridence in every sphere of politics and interest nodes get stoked through his conversations with Indira Gandhi, his views on Emergency, his stoking of the Marathi mobs, the green signal to the culture of political violence and everything that Thackeray signified during his lifetime. An engaging affair despite its obvious pitfalls of worshipping a demigod with grey areas.